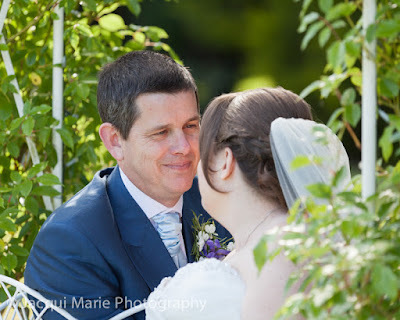 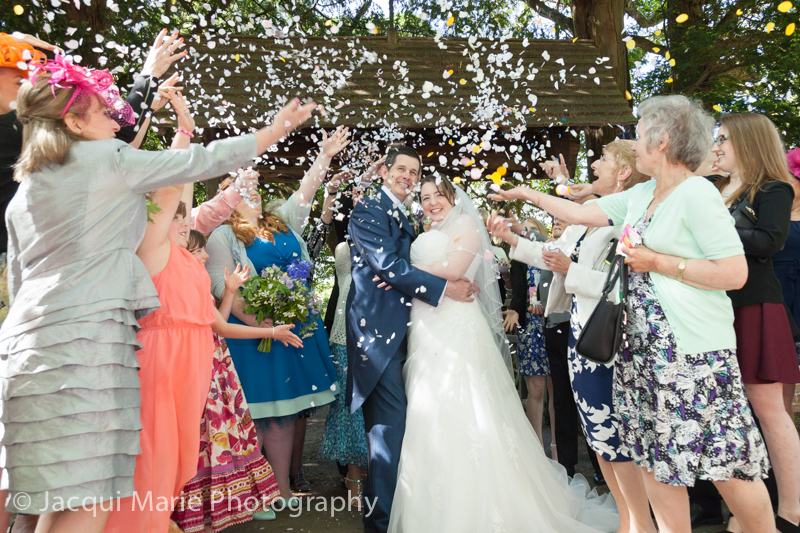 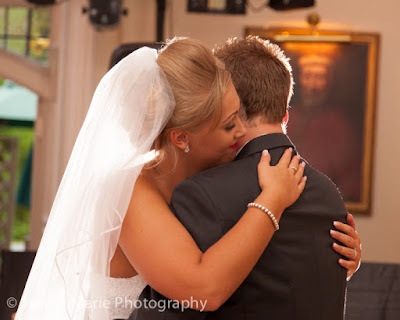 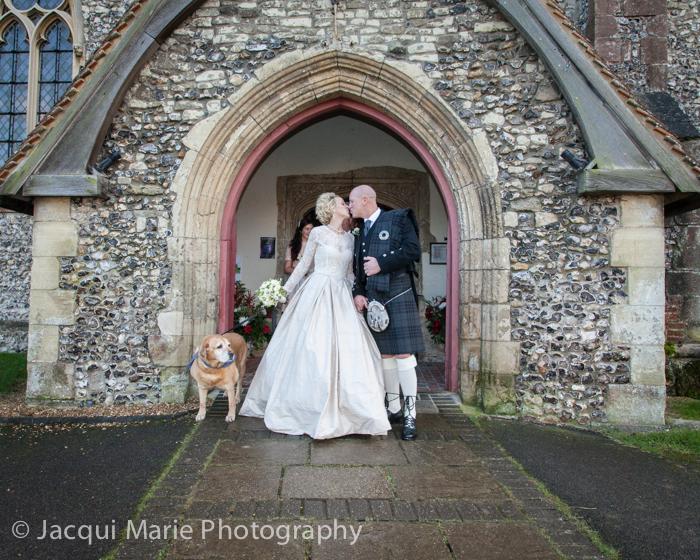 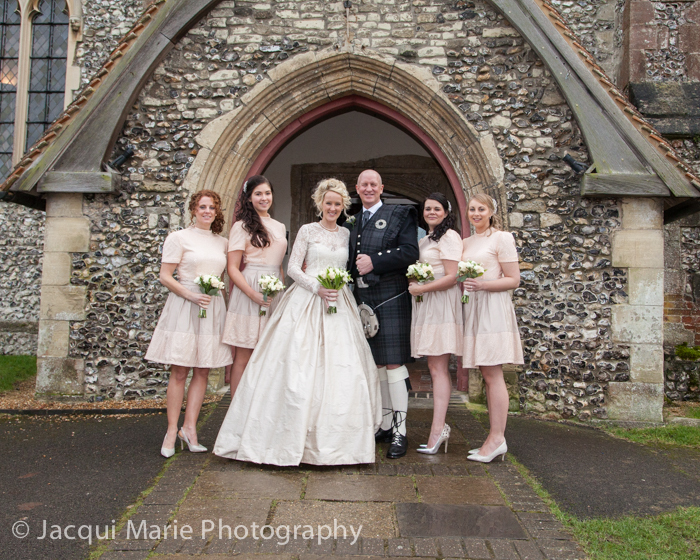 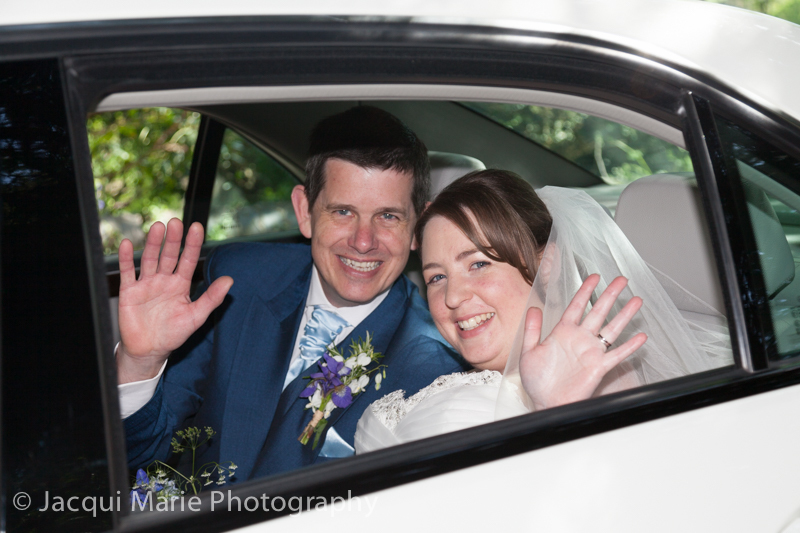 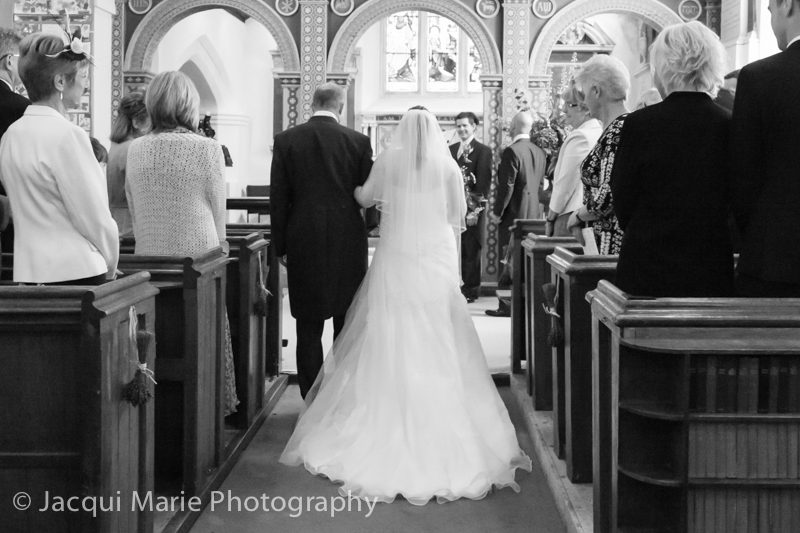 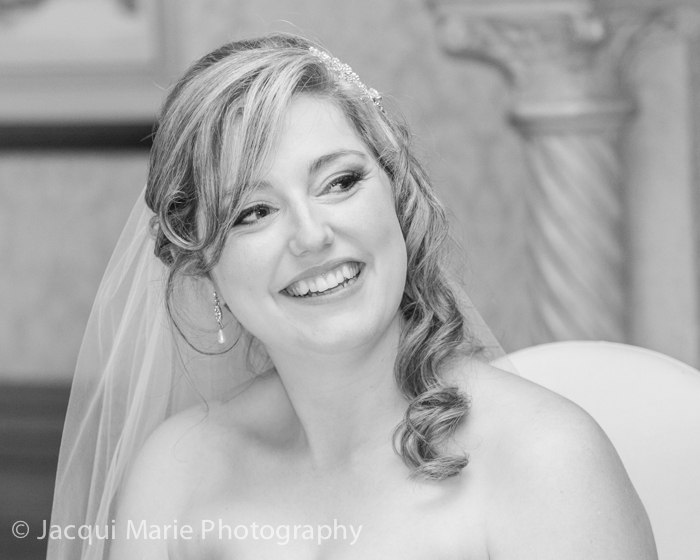 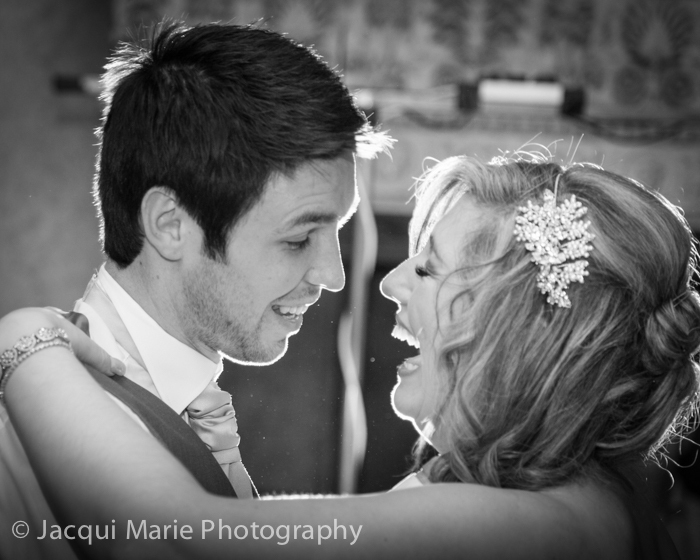 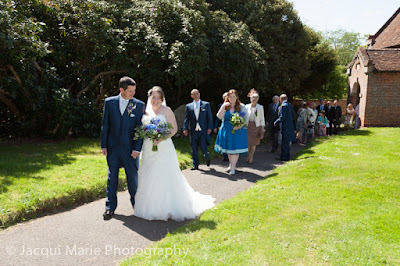 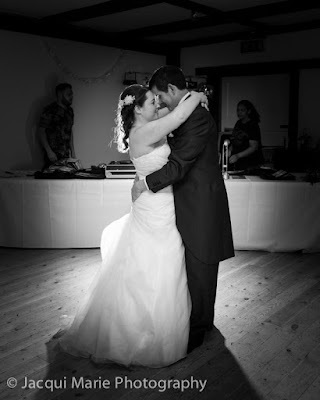 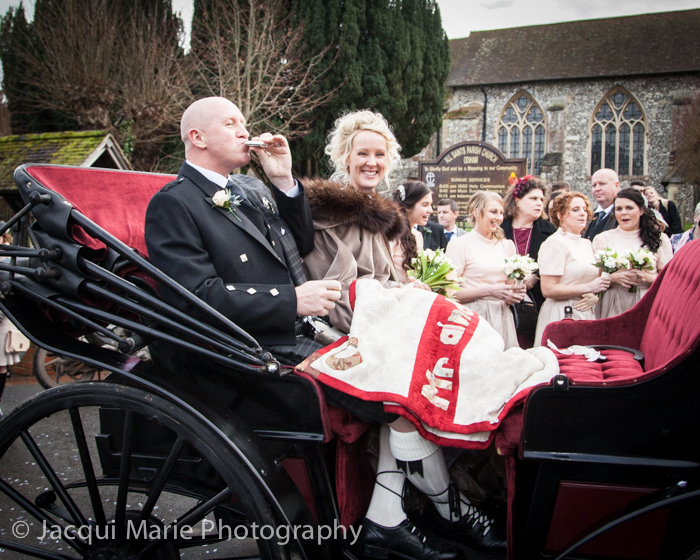 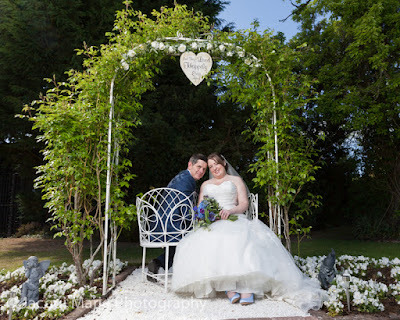 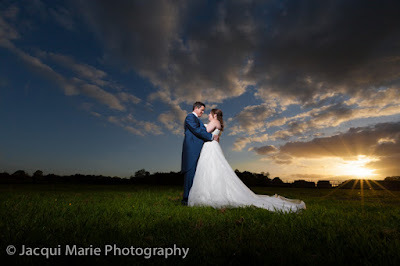 Matt and Alison had their wedding ceremony in St Mary's Church, Eversley and their wedding breakfast and party in Taplins Place, Hartley Wintney near Hook. 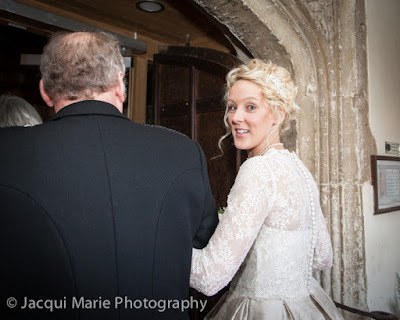 St Mary's is a lovely church with wonderful architecture and the arches at the top of the aisle looked fantastic as Alison walked up with her Dad to her groom. 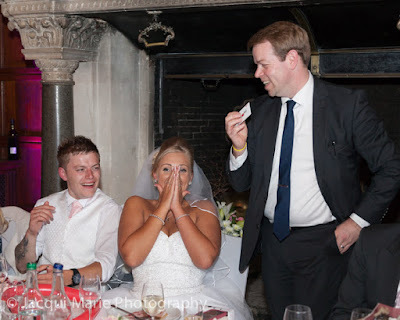 ...and to anybody who hadn't noticed, Matt made his intentions very clear to everybody, except Alison, by writing "CAN'T WAIT" on the soles of his shoes - I'm guessing she may have found out later. 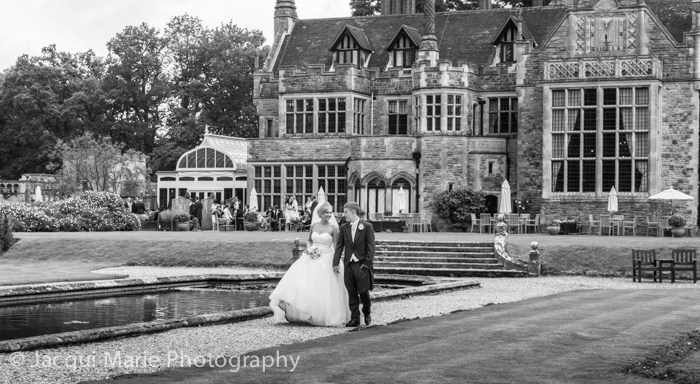 ...for drinks and good company around Taplin's wonderful grounds. The dancing was magnificent all evening helped along the way by their professional DJ friend from a radio station. 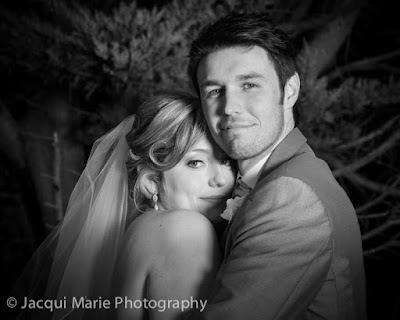 ...but the real story of the day though was just how much Matt and Alison felt for each other. They're a wonderful couple and it was brilliant to be with them on their wedding day. 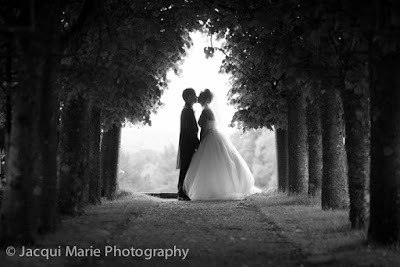 We wish them many years of devoted happiness together. 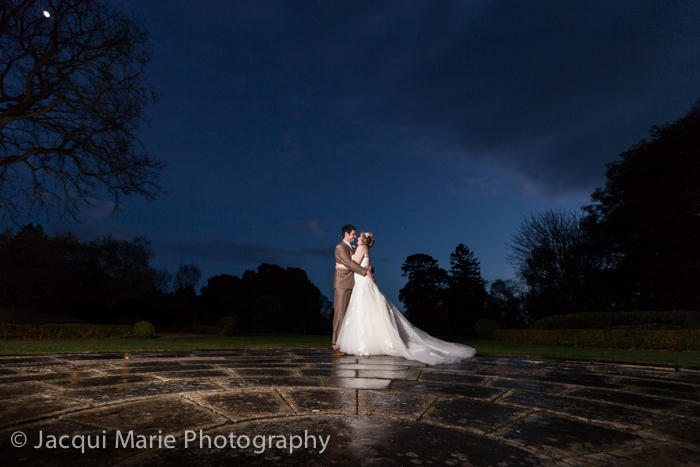 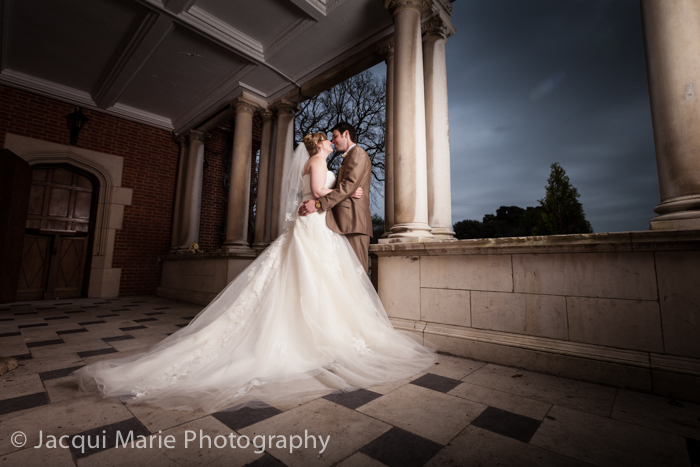 ...but with the help of our lights we were able to do some stunning romantic portraits of them both despite it being almost dark. We were just in time to catch the vestige of blue in the sky and a full-moon through leafless branches and the rain soaked stones for a reflection on the distinctive semicircular Elmer's Court patio. ...but between laughs we did manage to get this lovely picture of them snuggling. 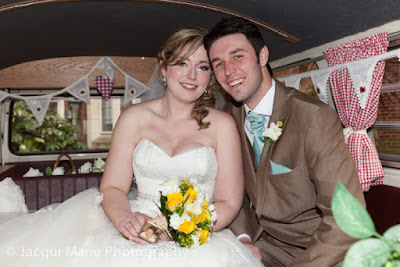 They had a VW Camper Van for their wedding transport and it was beautifully decorated inside. One very welcome visitor during the Group Photographs was a duck who came waddling up who took a great interest in the bride and her bouquet. 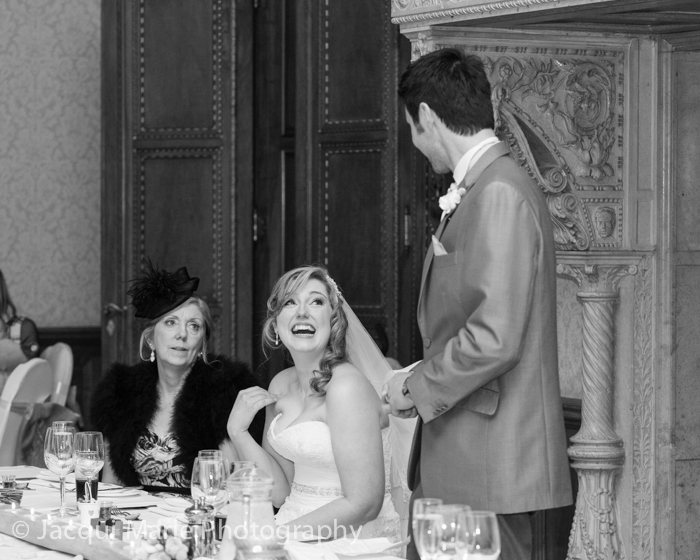 And the speeches had just as much laughter as the rest of the day. 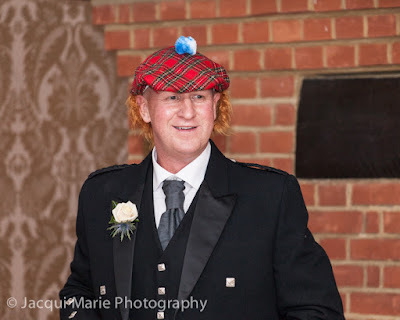 ...which sadly is more than can be said for poor Dan! 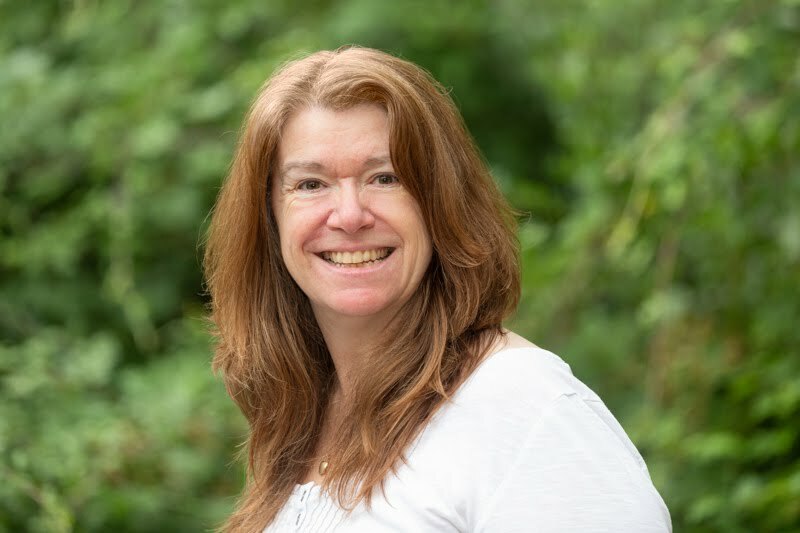 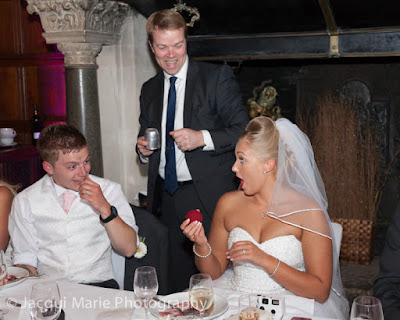 Sarah's late father had bought a bottle of rum to be opened on her wedding day and it was a poignant moment when all the guests were given a tot from the bottle. 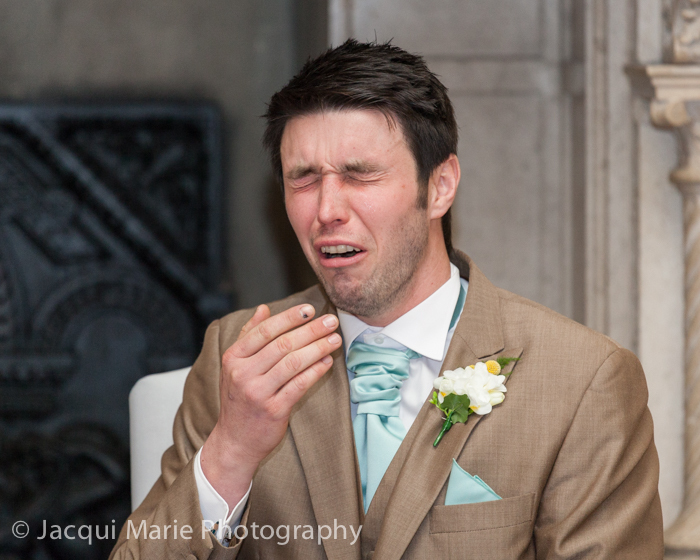 But the solemnity of the moment was brief, unfortunately Dan had never tasted rum before and downed it in one! 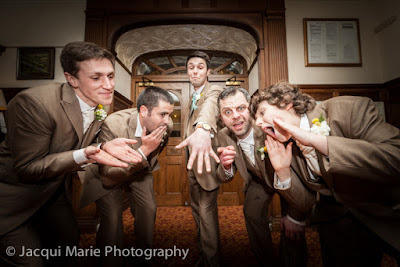 ...as well as inside when they were "admiring" Dan's wedding ring. 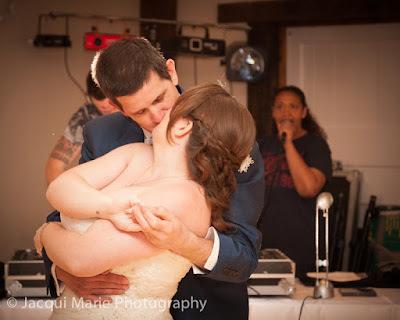 And just like the rest of the day, their First Dance was full of laughter too. Dan and Sarah are a lovely couple and it was a real privilege to be with them for their wedding day. 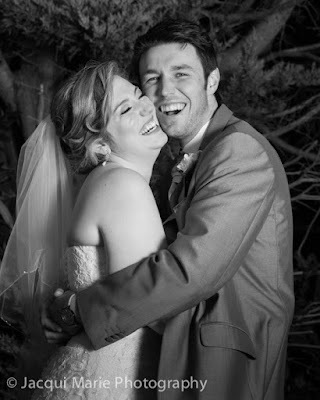 We wish them many long years of laughter together. 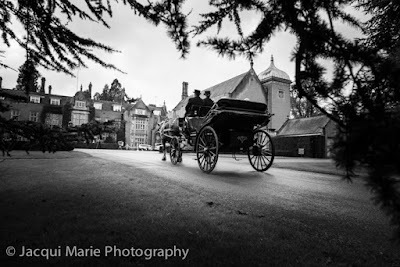 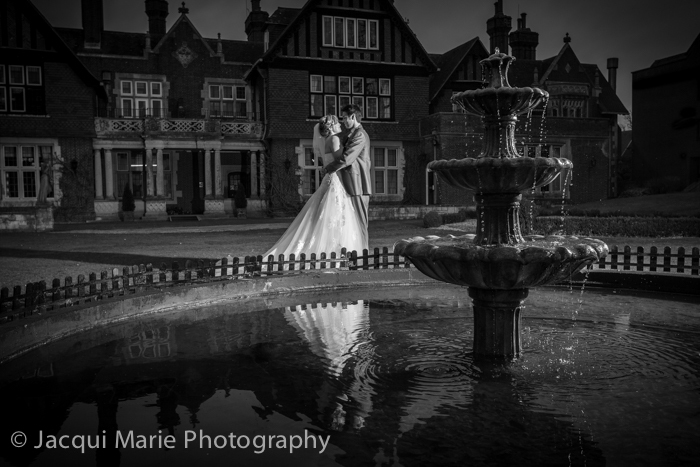 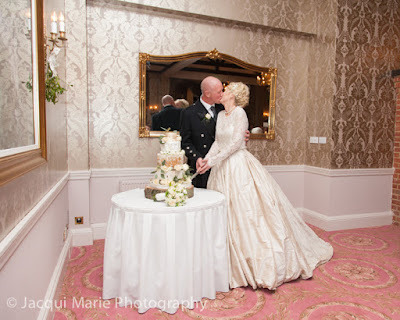 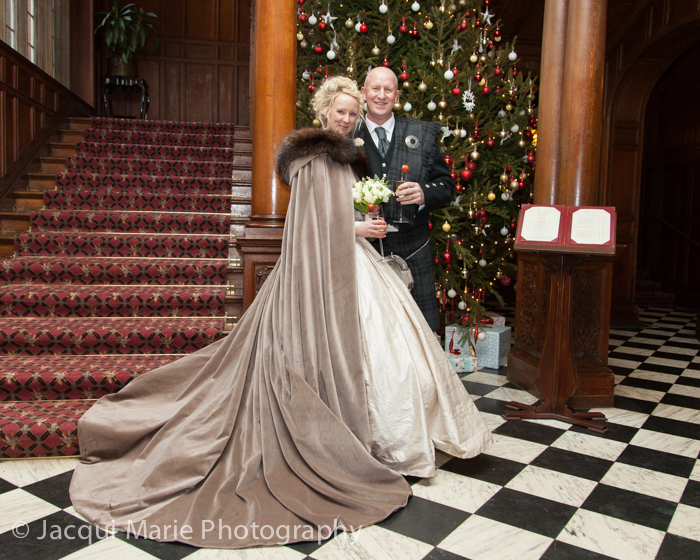 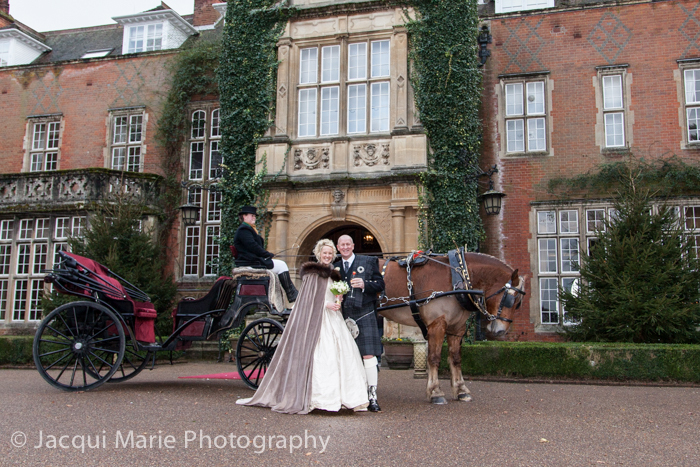 Murray and Demelza had the most fantastic of weddings at the amazing Tylney Hall. 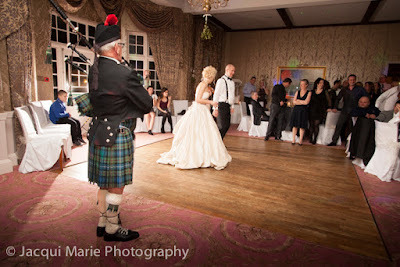 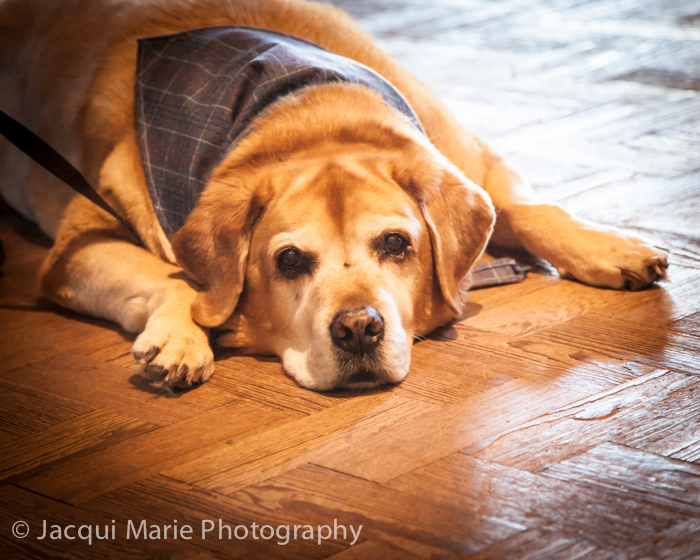 Murray and his family are very Scottish so what better day for their wedding than New Year's Eve. Before they went to Tylney Hall their ceremony was in their local Parish Church of Odiham, walking distance from their cottage. 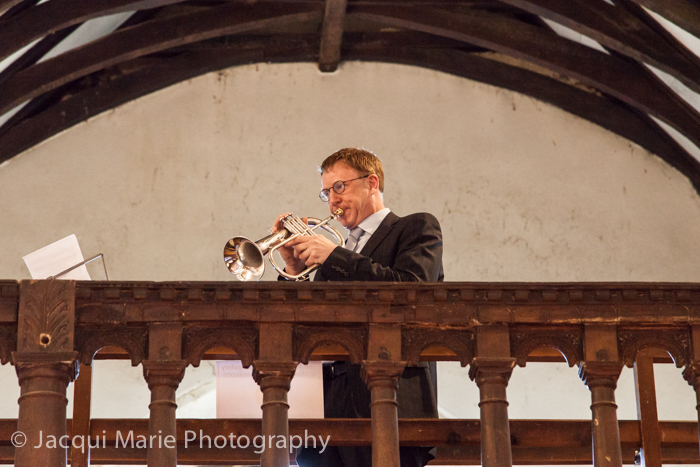 As Demelza entered the church she was serenaded from the rafters by some really nice flugel and trumpet playing. ...until it was his time...when he walked up the aisle to give Demelza and Murray their wedding rings. 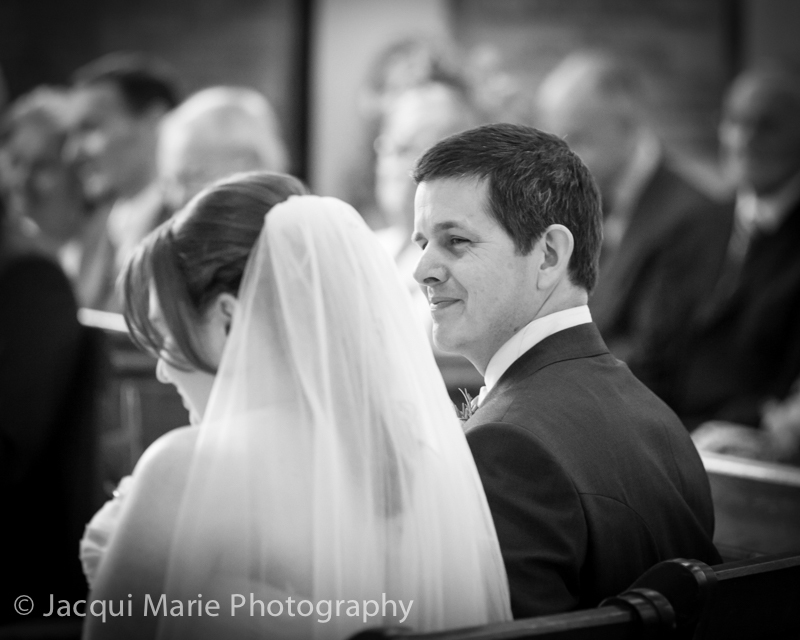 And bless him, he was even there with them when they came out of the church, for the first time as Man and Wife. ... and then the drive to Tylney Hall for their Reception meal and New Year's Celebrations. 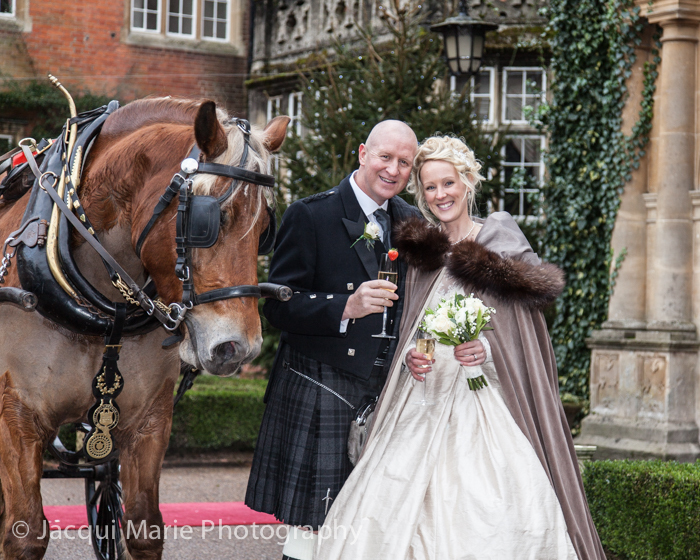 ...Demelza looked a million dollars in her bespoke design wedding dress and cloak. ...but in amongst the hilarity (and there was plenty) there were many, many touching moments. 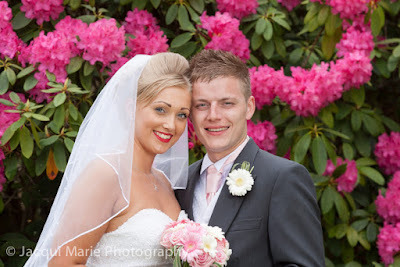 They are such a lovely couple! 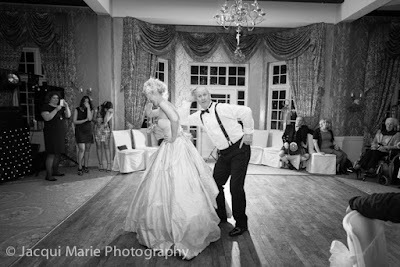 ...which brought the house down and really set the mood for the evening. 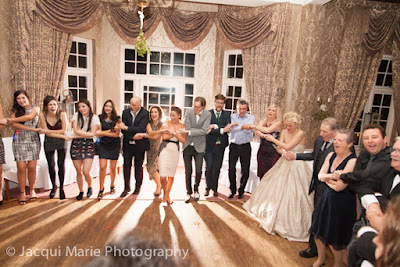 ...and then everybody linked arms to Aulde Lang Syne. 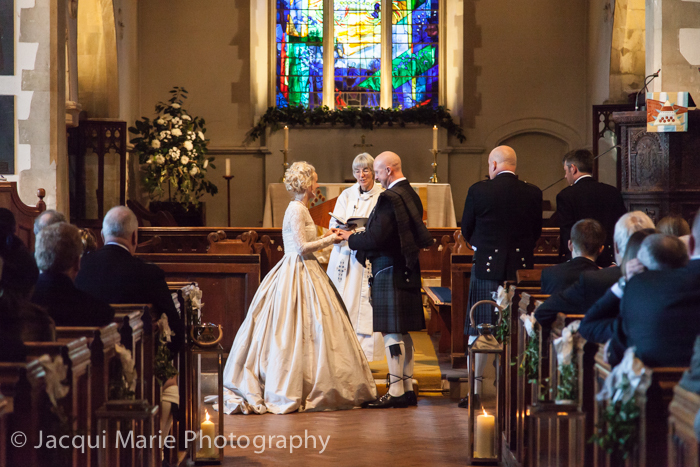 What better end could there be to such a wonderfully Scottish day. 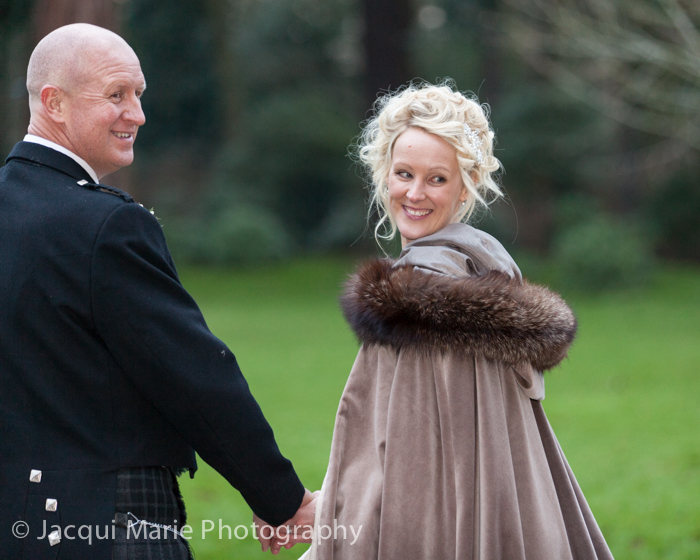 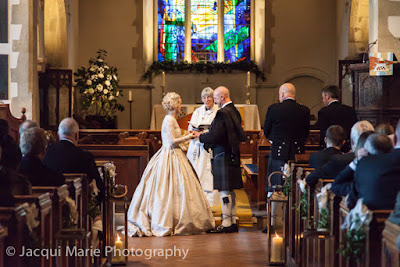 Murray and Demelza are a fantastic couple and their wedding was brimming with fun and affection and Scottish tradition. It was a brilliant day and an amazing New Year's Eve party to boot. 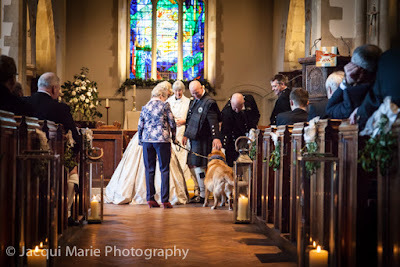 We wish Murray and Demelza as much fun and happiness through the rest of their lives together as they had on that amazing day. 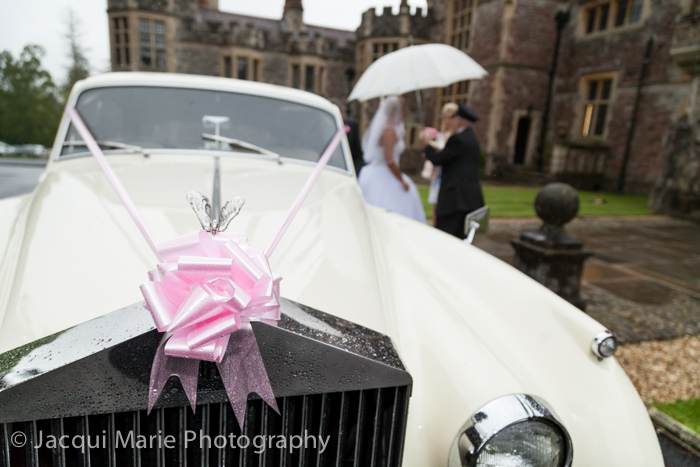 ...even though it was raining when Alice arrived in her white Rolls-Royce. 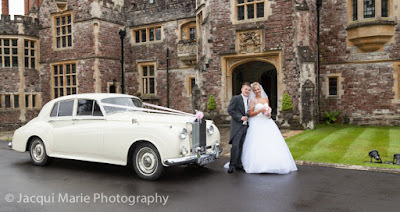 ...but the rain had stopped in plenty of time for the photographs including bride and groom shots in front of their venue with their fabulous wedding car. 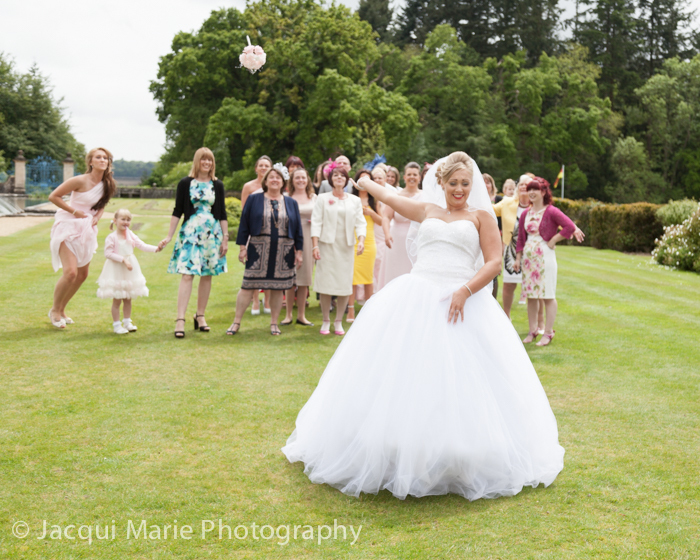 By the afternoon the weather had brightened up nicely for photographs, canapés and a very competitive bride tossing of her bouquet. ...and in front of the Spring flowers. 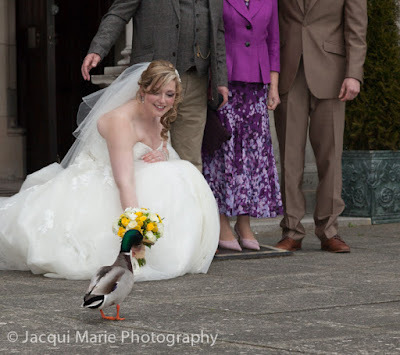 ...which really took Alice's breath away. 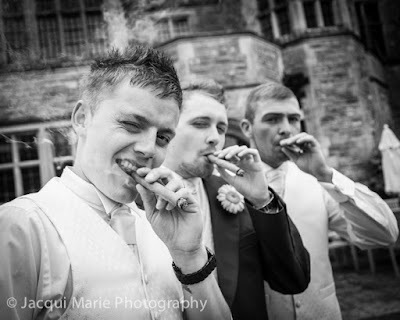 After the meal there was time for a celebratory smoke of cigars for the boys. 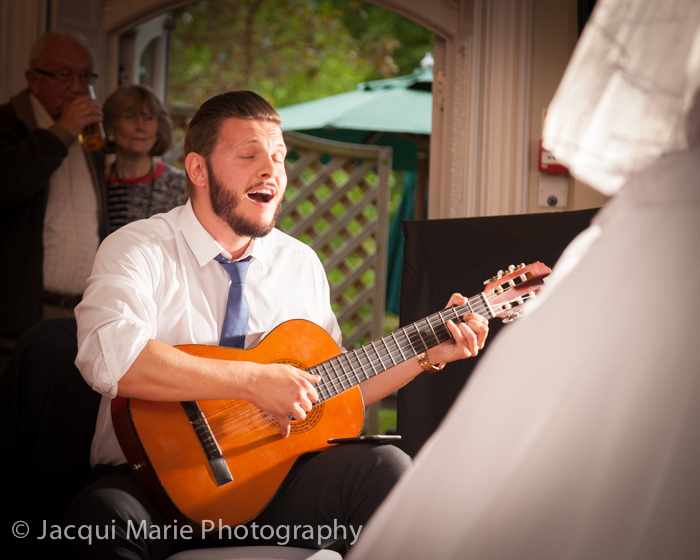 ...Carl and Alice were serenaded by one of their friends. 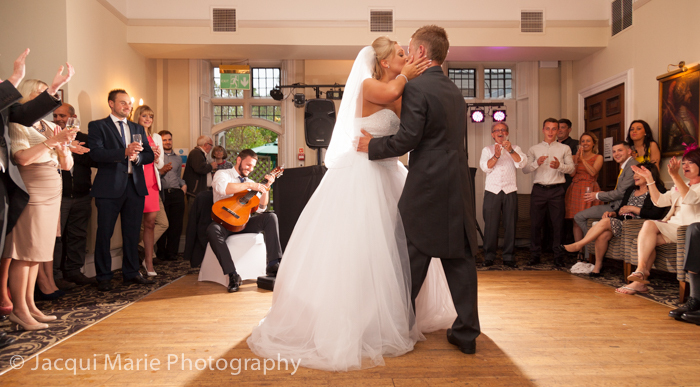 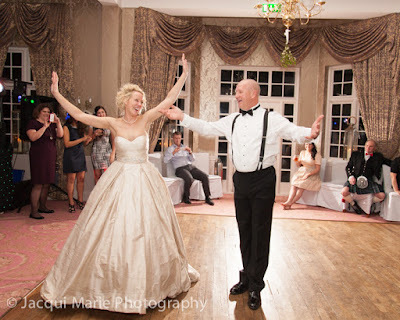 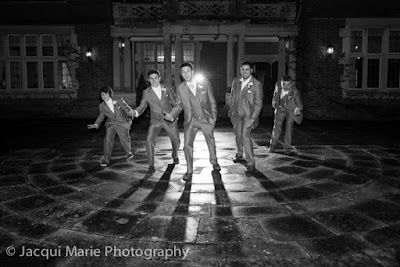 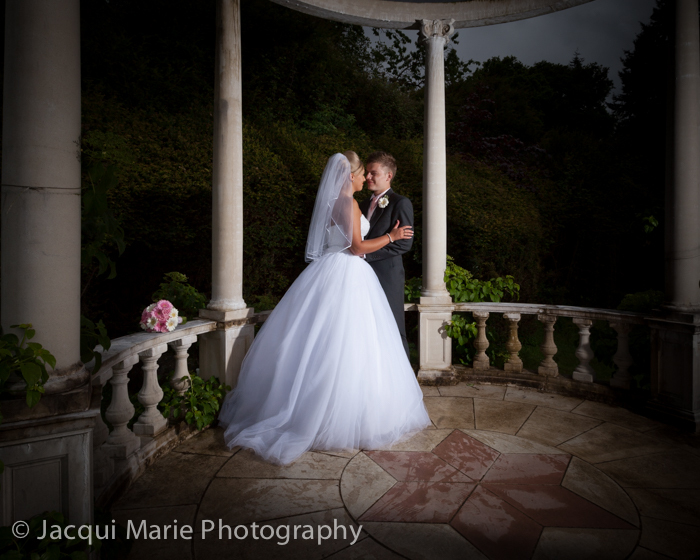 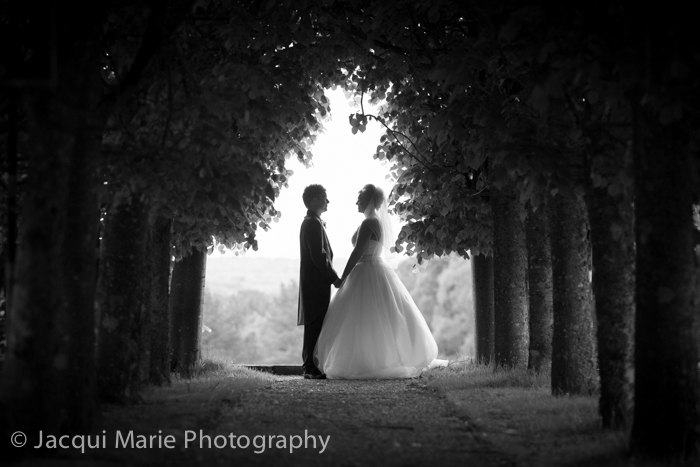 Rhinefield House is a fantastic venue, Carl and Alice are a gorgeous couple and their friends and family were awesome. 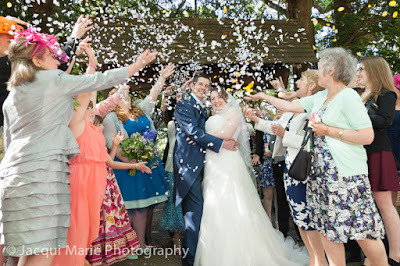 The day had a fantastically bubbly and friendly vibe. 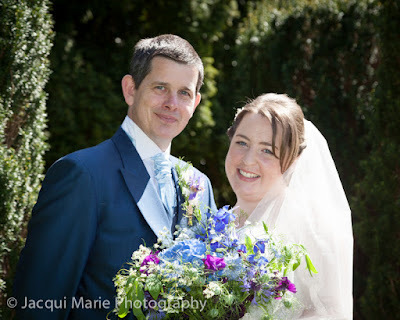 It was a wonderful day and we wish Carl and Alice a very long and happy life together.